A Saturday Morning Tunes Giveaway! 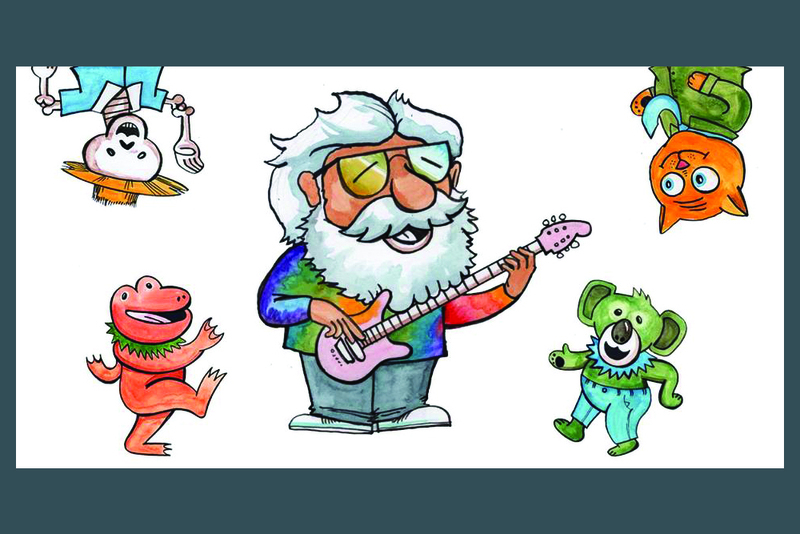 Thanks to our smARTbeats partners, WTMD, we have five Family Four-Packs for the Saturday Morning Tunes Grateful Dead tribute show with Ed Hough’s Dead Collective to give away! That means five of our lucky Facebook followers will receive four tickets each to the SOLD-OUT 9:30 a.m. show at the American Visionary Art Museum on Saturday, February 2, 2019! Illustrations by the Baltimore children’s book author Kevin Sherry. Grateful Dead fans with young kids won’t want to miss out on the chance to attend this sold-out event! Ed Hough’s Dead Collective, who are some of Baltimore’s best roots and Americana musicians, will be channelling the music of the Grateful Dead in AVAM’s banquet hall among the museum’s renowned colorful and engaging artwork. Tickets also include organic snacks and juice for kids and coffee for adults. Doors open at 9 a.m., and the show runs 9:30 a.m.-10:30 a.m. Many thanks to WTMD for sharing this amazing opportunity! This contest is now closed. smARTbeats returns to WTMD on Saturday, November 10 during the weekly children’s program Young At Heart! On this month’s segment, host Lisa Mathews talks with Jason Baker, one of our talented teaching artists from Summer Arts & Learning Academy (SALA). Jason is a board-certified music therapist and teaching artist by day. Kids lucky enough to have had him as their teacher in SALA over the past few summers will tell you he has a lot of wisdom and kindness to share. Do they even know that Jason is a bona fide rocker once the day is done? 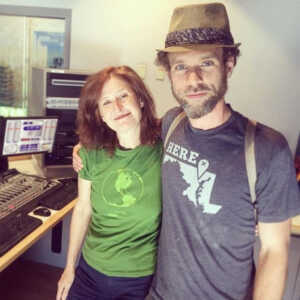 Jason Baker with host Lisa Mathews in the WTMD studio. 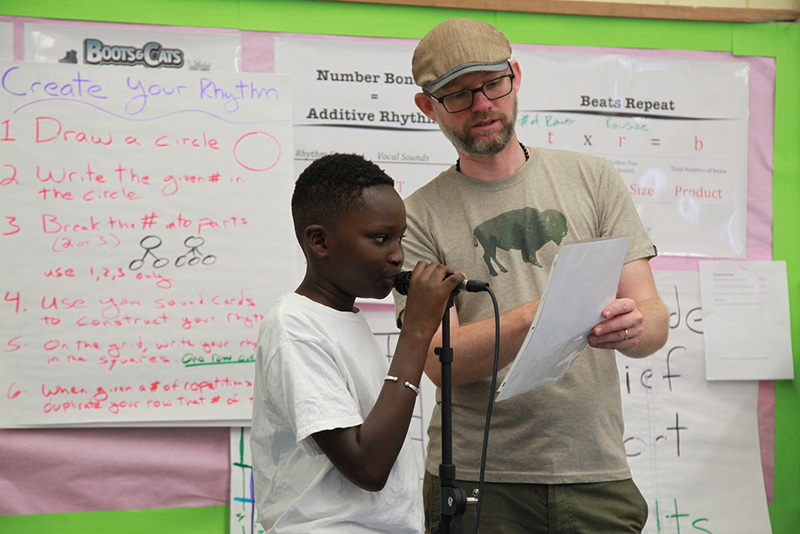 In the classroom, Jason is known as a man who helps kids learn their math facts through writing their own beatbox riffs, who models compassion and collaboration, and who leads young percussionists with artistic excellence. No doubt, the same skills he uses as a music therapist cross over into his lessons. His students work diligently, checking their numbers and planning their beats in the arts-integrated math class. The kids are eager to support their peers as each finds the courage to perform their beatbox compositions at the mic. Jason’s music majors exhibit the same cooperation and camaraderie as his math students. They don’t just play their instruments. With their drums in a circle, the young percussionists listen, they watch, they respond to one another. Their rhythm is alive and has a personality all its own. By night, Jason Baker is the drummer for the highly acclaimed psychedelic rock band Fractal Cat. The classically trained musician’s beats are the pulse of Fractal Cat’s euphonic sound —and like a teacher in a classroom, he keeps the music rolling. 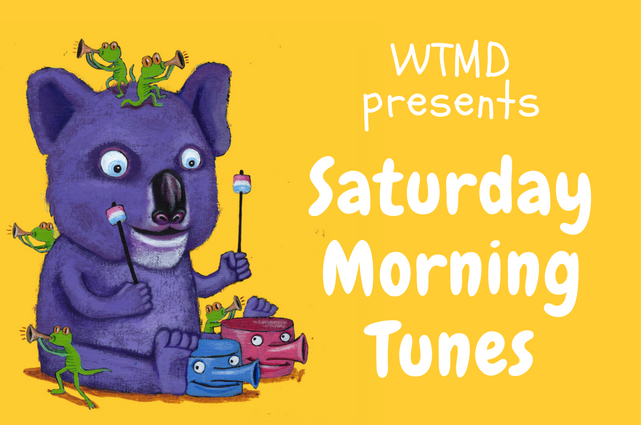 Young At Heart airs weekly on 89.7 WTMD from 7 to 8 am on Saturdays, featuring music that appeals to parents and children alike. Previous shows have featured music by Wilco, David Bowie, Andrew & Polly, Weezer, and others. Hear Jason Baker’s smARTbeats interview online now! smARTbeats is back with Khaleshia Thorpe-Price! smARTbeats returns to WTMD on Saturday, June 14 during the weekly children’s program Young At Heart! On this month’s segment, host Lisa Mathews talks with the multi-talented Khaleshia Thorpe-Price. Khaleshia is a musician, actor, and Young Audiences teaching artist with a contagious and explosive energy for the arts that fills students with creativity and excitement. For over 15 years, she has facilitated residencies and workshops for children and adults for many arts organizations including Wolf Trap, Arena Stage, Young Playwrights’ Theater, Young Audiences of Maryland, Folger Shakespeare Library, Shakespeare Theater Company, and M-NCPP. In classrooms across Maryland, DC, and Virginia, Khaleshia helps students create and perform original plays with props and visual aids. In addition to teaching, you can find Khaleshia directing performances in the Folger Shakespeare Children’s Festival and serving as a dramaturge for the Young Playwrights Theater Festival. Tune into 89.7 WTMD this Saturday at 7 am as YA teaching artist, actor and musician Khaleshia Thorpe-Price joins host Lisa Mathews in the studio! Andrew Greene Shares the Art of Ragtime on smARTbeats! smARTbeats returns to WTMD on Saturday, June 9 during the weekly children’s program Young At Heart! On this month’s segment, host Lisa Mathews sits down for a chat with pianist, conductor, musicologist, and founder of the Peacherine Ragtime Society Orchestra, Andrew Greene. A new addition to the Young Audiences roster, Andrew is excited to share his love and appreciation of Ragtime in Maryland schools and open ears and imaginations to the genre! 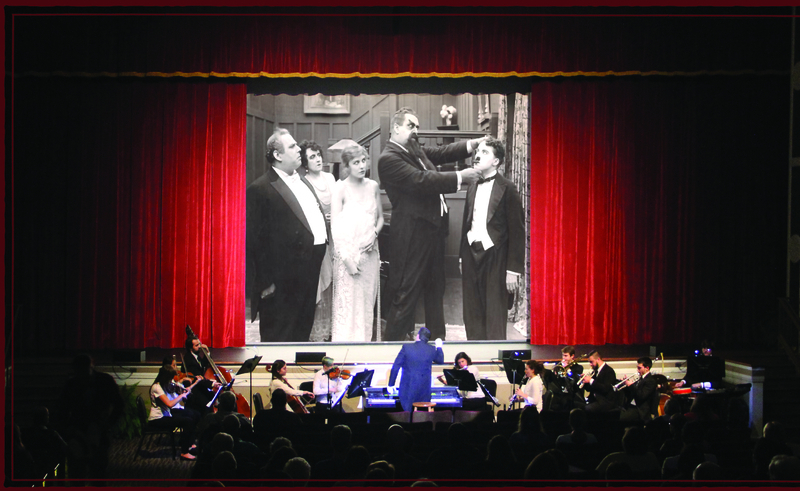 Be sure to tune in to hear the artist talk about bringing to life important, historic films by performing original silent film scores from the era! 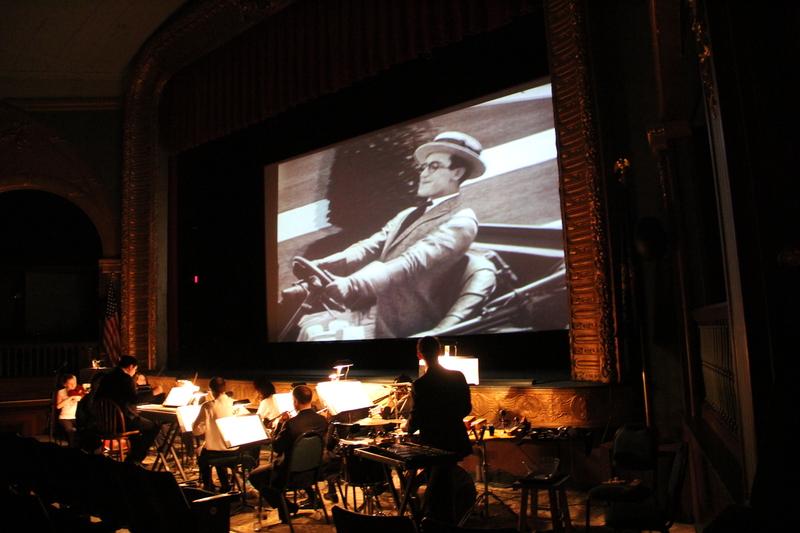 On his website, Andrew explains, “All of our silent film scores use the actual music that existed when the films were originally released – it’s the closest thing to actually being back in the silent era!” The group accompanies short silent films featuring renowned actors like Charlie Chaplin, Buster Keaton, Harold Lloyd, or Laurel and Hardy. This unique ensemble gives audiences a true appreciation for the role ragtime music played in the art and history of cinema and an understanding of how ragtime music relates to the music we hear today. “When film was in its beginning stage 100 years ago, there was no sound to accompany the movie — so we work with audiences to show how sounds can change how we think about a certain scene or action sequence.” Their work has not gone unnoticed. 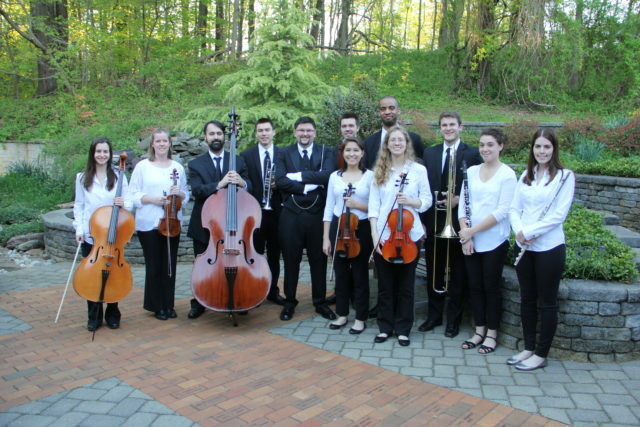 “The premier American ragtime ensemble” as hailed by the Washington Post is rapidly becoming the leading professional ragtime orchestra in the United States- which is great news for Maryland students. 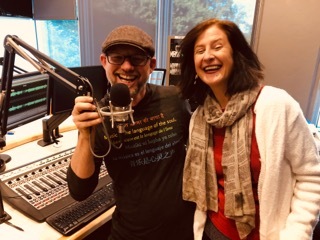 Listen online as YA teaching artist, conductor and musician Andrew Greene of Peacherine Ragtime Society Orchestra joins host Lisa Mathews in the studio! Steve Cyphers Talks the Physics of Sound on smARTbeats! smARTbeats returns to WTMD this Saturday, May 5 during the weekly children’s program Young At Heart! On this month’s segment, host Lisa Mathews sits down for a chat with professional frontman and percussionist, Young Audiences teaching artist Steve Cyphers. Tune in and you’ll hear why Maryland students absolutely love drumming with Mr. Steve! 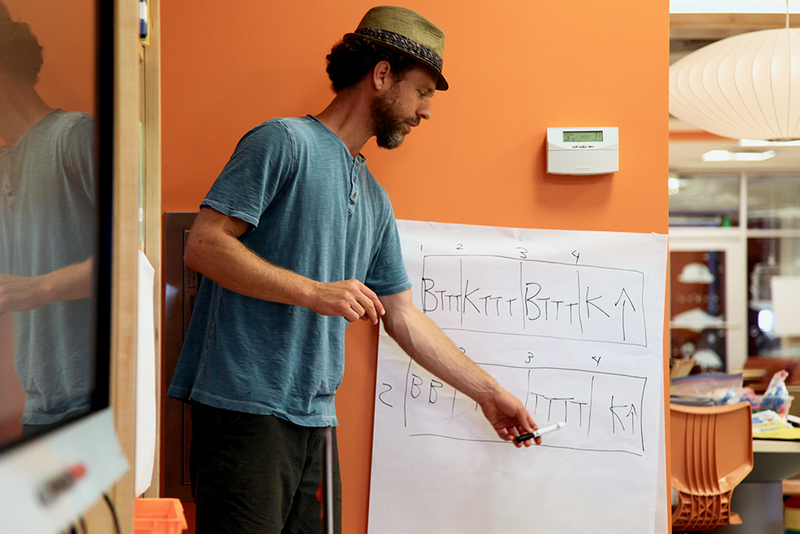 In schools, Steve helps students gain a deeper understanding of playing and notating rhythms and the science of sound. 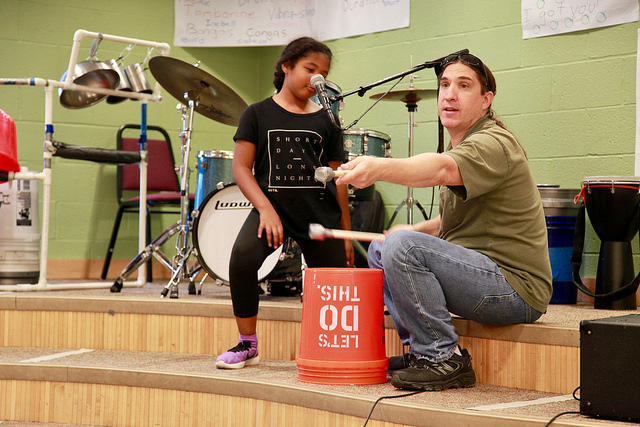 In addition to body percussion and call-and-response exercises, Steve’s students learn how to play a bucket with mallets designed and fabricated by the artist to accentuate the high and low pitches of the buckets, and to provide more volume control for the classroom. With Mr. Steve in the classroom, students investigate the physics of sound waves and even get creative by altering their “instrument,” to change its sound. And inspire students, he does. If you’ve ever wondered what true happiness looks like, just watch a group of Steve’s students singing and playing James Brown’s “I Feel Good” on bucket drums! Hear Steve Cyphers‘ smARTbeats interview online now! 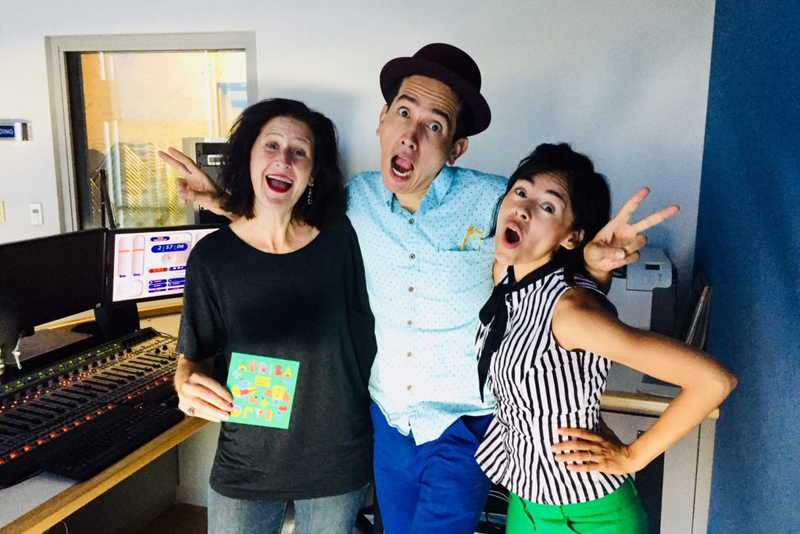 It’s been almost a year since we announced our partnership with WTMD to feature YA teaching artists on their family-favorite Saturday morning radio show Young At Heart! Since May 6, 2017, host Lisa Mathews—YA teaching artist and lead singer of Grammy-nominated children’s band Milkshake—has invited eleven top-notch, talented YA roster musicians to date into the studio to chat on a monthly segment called smARTbeats. Listeners have learned about the artists’ professional work outside of schools, arts integration, and heard how they’ve reached students through art in the classroom. Some of the featured artists have talked about the guidance they’ve received and diligence and artistic discipline they learned from parents, peers, or mentors. Some have revealed the inspiration they’ve found through their own small children. All have shared with listeners the energy, kindness, and expertise that they bring into every Maryland classroom they visit. From memories of touring with the one-and-only Mr. Ray Charles, reaching audiences around the world in Spanish, English, and through poetry, taking a musical journey to outer space, to finding out not just how artists inspire children every day in Maryland classrooms, but hearing what motivates, energizes, and inspires them, getting to know these fantastic teaching artists has been a real treat for Saturday mornings! 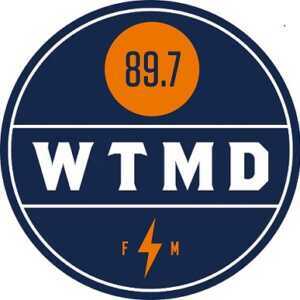 And just in case you prefer to sleep in on the weekends, we’ve compiled WTMD’s Soundcloud links here for you to enjoy any time of day or night! smARTbeats returns to WTMD this Saturday, March 10 during the weekly children’s program Young At Heart! 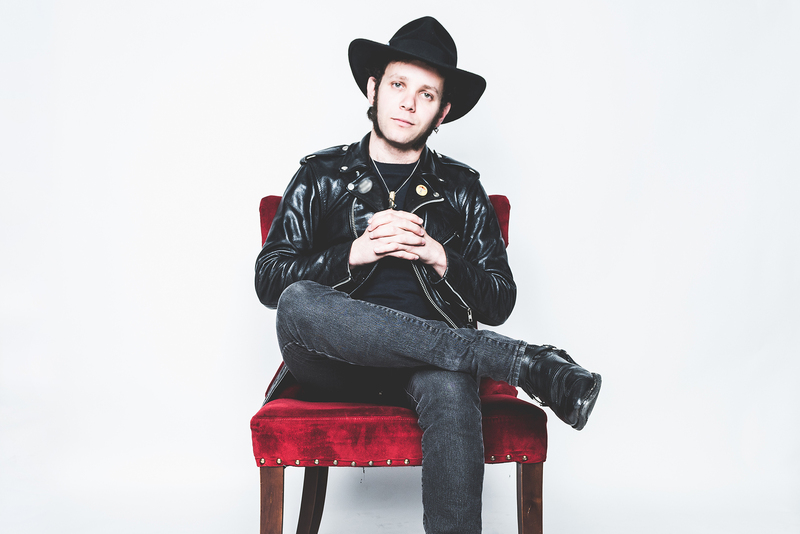 On this month’s segment, host Lisa Mathews sits down for a chat with Young Audiences teaching artist and internationally renowned resident rock and roll drummer Elias Schutzman! For over five years, Elias has been performing interactive story-telling assemblies in public schools throughout Maryland, and in 2016, began enchanting Maryland’s youngest students and enriching learning in Pre-K and kindergarten classrooms through his work with Wolf Trap Institute for Early Learning Through the Arts. 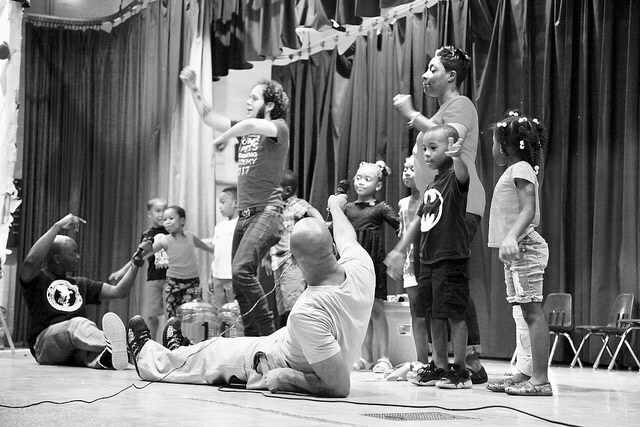 Last summer, he joined the ranks of teaching artists in YA’s groundbreaking Summer Arts & Learning Academy, immersing Baltimore City children from Title 1 schools in an engaging arts-rich program that sends children back to school in the fall ahead, inspired, and ready to learn. When not in the classroom, you can find Elias playing drums in venues all over the world with The Flying Eyes and Black Lung. The Baltimore native attended the Baltimore School for the Arts and went on to receive a BA in Theatre from the University of Maryland, College Park, leading him to work with local theatre companies such as Center Stage, Everyman Theatre and most recently the Baltimore Rock Opera Society. Listen to YA teaching artist and musician Elias Schutzman online now! YA Teaching Artist Elias Schutzman (standing, center) leads his students in their culminating performance at the 2017 Summer Arts Learning Academy. smartbeats is Back with Uncle Devin! Devin Walker has been playing percussion for more than 25 years with groups ranging from Fertile Ground to the Great Dizzie Gillespie, and has gained national acclaim as a leader in the children’s music industry with his unique musical style, real percussion instruments, and the latest in electronic drums. In schools, the artist teaches children that percussion instruments are an essential part of history and the human experience. 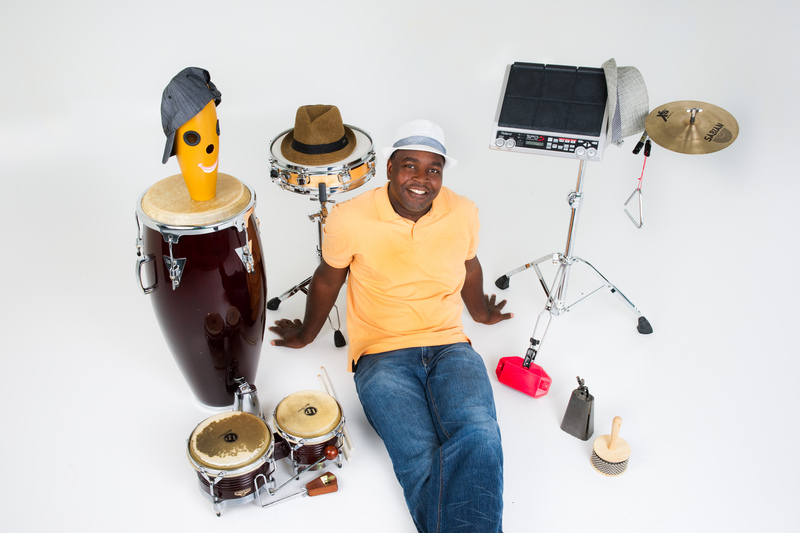 He uses different musical instruments, along with his award-winning book, “The ABC’s of Percussion with Music CD,” to help students understand how sounds made by percussion instruments were used to communicate. “If we never spoke a word, we could communicate through music,” said Devin. Listen to Uncle Devin online now! smARTbeats is back this Saturday, January 13 on WTMD during the weekly children’s program Young At Heart! On this month’s segment, host Lisa Mathews sits down for a chat with Hip Hop performer, YA teaching artist, and Maryland Wolf Trap Artist, Jamaal “Mr. Root” Collier. 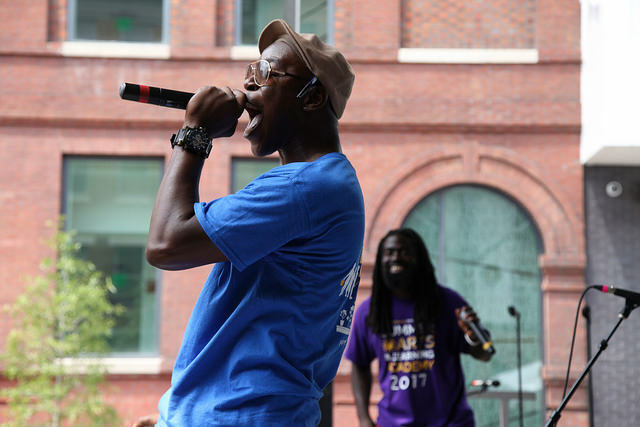 A dynamic and engaging Hip Hop artist, Jamaal has been working with Young Audiences/Arts for Learning since 2007, has served on its artist roster since 2013, and was named Artist of the Year for 2016. His energy and passion for the arts is boundless, and show in the volume of work he does, not only offering assemblies and long-term residencies in schools, but also providing professional development for teachers. 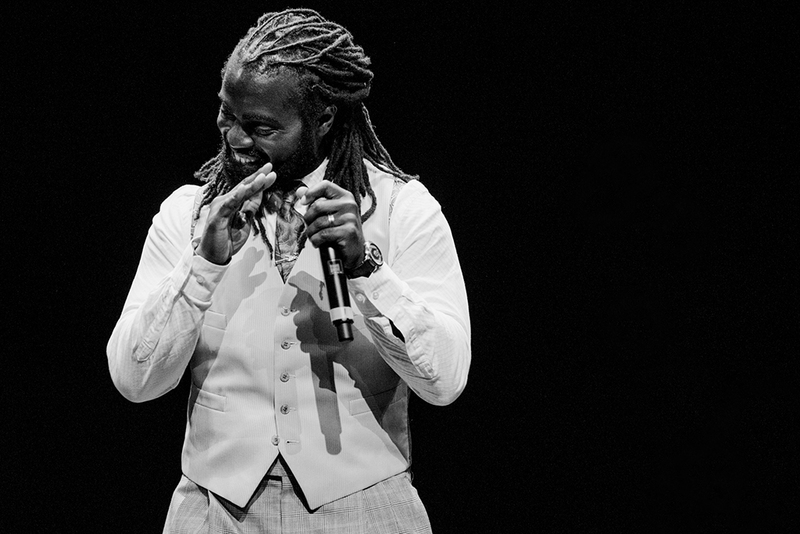 By incorporating rapping, vocal percussion, and dynamic stage presence, Jamaal articulates his passionate appreciation for his artistry every time he teaches and performs. During the segment, you’ll hear how the artist, who is also half of the family-friendly beatboxing duo Baby Beats, invites students to learn, listen, and participate. Jamaal uses rapping, freestyling, and beatboxing to appeal to a variety of learners. His students craft rhyming couplets and non-traditional quatrains to analyze and summarize their course content, gaining a deeper understanding of lesson material through elements of Hip Hop. Staci Taustine, Fifth Grade Teacher at F.L. Templeton Preparatory Academy said that through her class’ residency with Mr. Root, students didn’t just advance academically, but socially. Jamaal’s passion for the arts is clear, as is the impact it has had on his life. “Our life without the arts can be so empty,” he has said. Thankfully, the artist shares the power of art, music, and rhyme with students and their teachers across the state of Maryland every day. 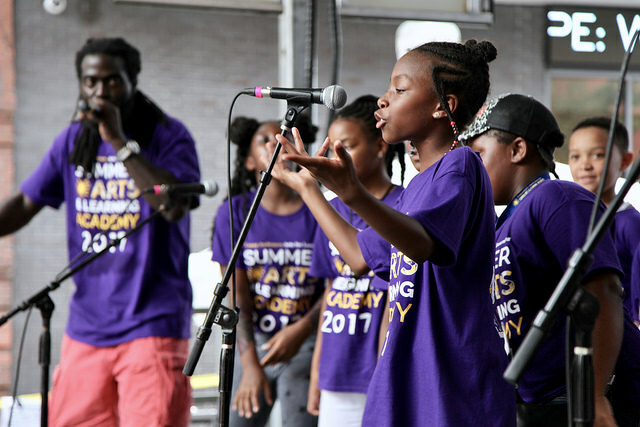 Mr. Root’s Summer Arts Learning Academy students took the stage at Artscape 2017 and rocked the crowd! 123 Andrés Talks Music for Bilingual Learners on smARTbeats! smARTbeats returns Saturday, December 2 during the weekly children’s music program Young At Heart on WTMD. On this month’s smARTbeats segment, Young At Heart host Lisa Mathews sits down with YA roster artists and Latin Grammy winners Andrés Salguero and Christina Sanabria, better known as 123 Andrés. The two have brought many multicultural performances and bilingual musical experiences in Spanish and English to children across the United States and Latin America. Their second album, Arriba Abajo, even won the Parents’ Choice Gold Award for children’s music! Families could spend hours surfing just their youtube channel filled with the songs, videos, and cartoons that have kids and adults alike hooked and learning. But these catchy, uplifting beats will make you want to enjoy 123 Andrés in person. 123 Andres’ audiences are treated to a tour of Latin America, learning new vocabulary, history, culture, and geography through songs in both Spanish and English, and dances like salsa, bachata, plena, mariachi, vallenato, bolero, champeta, and more. What 123 Andrés brings into schools is fun, plain and simple. And fun is something everyone understands no matter what language you’re speaking! 123 Andres will make the whole family salta, salta (jump, jump)! Hear YA teaching artist and musician 123 Andrés online now! 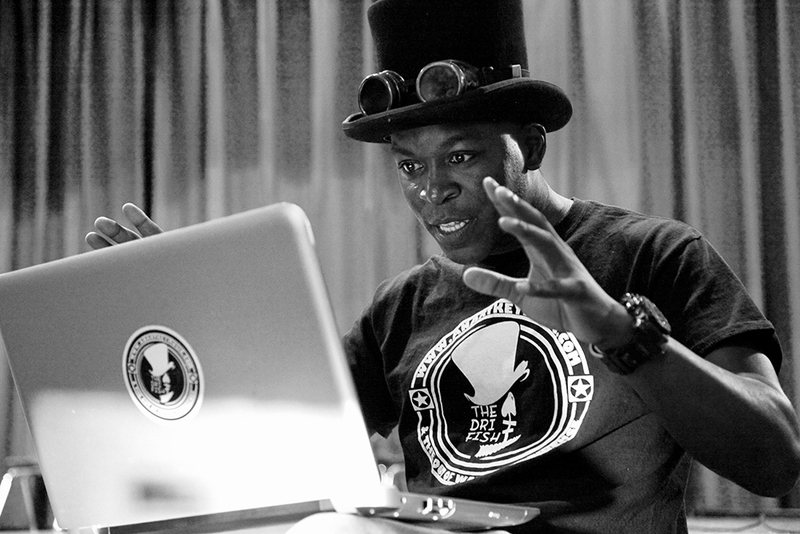 Hear Slam Poet Femi the Drifish on smARTbeats! 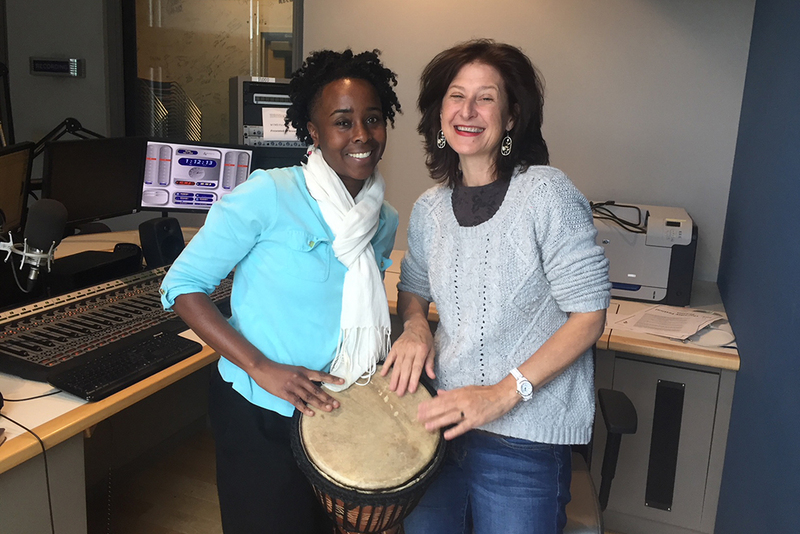 smartbeats is back this Saturday, November 4, during the weekly children’s music program Young At Heart on WTMD. 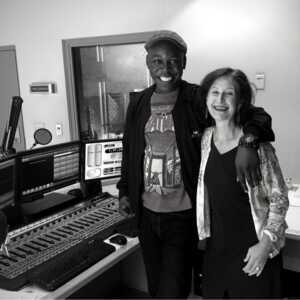 On this month’s smARTbeats segment, Young At Heart host Lisa Mathews sits down for a chat with professional spoken word artist, slam poet, highly-animated and engaging frontman, and YA teaching artist Femi the Drifish. Best known as one half of the spoken word/Hip Hop-influenced duo, THE 5th L, Femi uses his artistry to encourage listeners to discover their own unique voices and identities. The Drifish also partners with University of Maryland’s Violence Prevention Program, using his words to address matters such as violence and bullying in our communities. He extends this experience, his skillful construction and delivery of words as art, along with compassion, patience, and high expectations to the classroom. Femi the Drifish worked with our middle school students in Language Arts,” said Christa Huber, the Arts Integration Coach at Patterson Park Public Charter School. “A great thing about that residency was the response we received from students who typically are not comfortable with performing in front of people. By their culminating performance, those students, in particular, were the ones to stand up and share their poetry with strength. 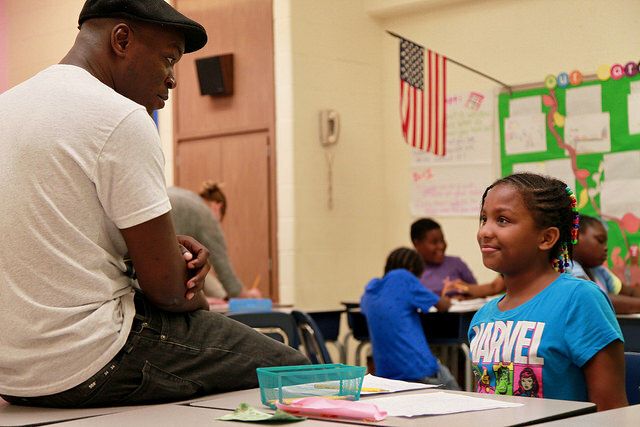 As a teaching artist at Summer Arts and Learning Academy, Femi integrated his art into Math and Literacy lessons. Femi the Drifish and Jamaal “Mr. Root” Collier hosted the 2017 Summer Arts and Learning Academy performances where students showed off their dance, music, and spoken word skills. This is the kind of guidance that makes Femi the Drifish shine. Whether students are processing their feelings after an emotional event, confronting their worries or disagreements with friends, or looking forward to a world of firsts: first high school, first love, first dance, first goal, one thing is certain, when Mr. Fish is in the classroom, students will find the courage to share their voices and be heard. Hear YA teaching artist and musician Femi the Drifish online now! smARTbeats returns to WTMD Saturday, October 14, during the weekly children’s music program Young At Heart. On this month’s smARTbeats segment, Young At Heart host Lisa Mathews sits down for a chat with beatboxer and YA teaching artist Max Bent. 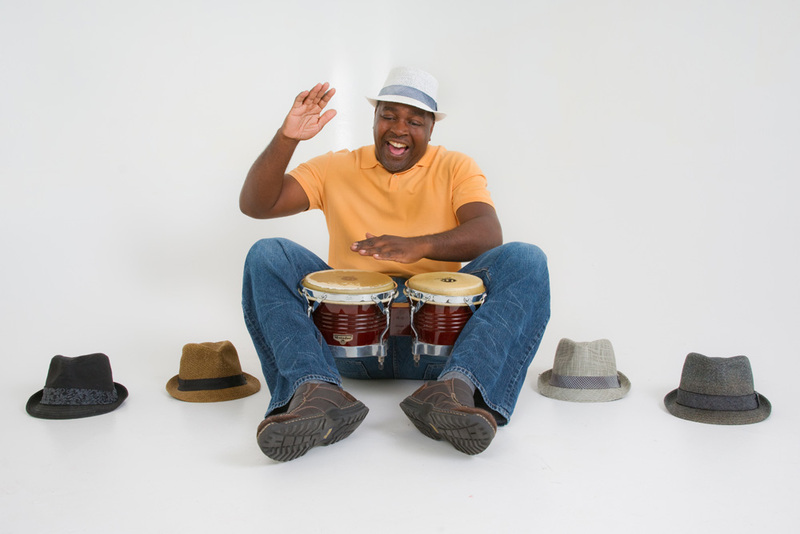 Performing for adults and the Pre-K set alike, the artist treats his audiences to a mix of original songs, fun covers, and interactive rhythmic games sure to get you up and moving. Max started beatboxing at the age of eight, imitating with his mouth what he heard on the radio. Since then, Max’s love for the beat has taken him on many exciting journeys and a never-ending search for sounds that surprise him. His experience as a teacher has helped him transition into his work as a teaching artist. During the segment, you’ll hear how the artist, who is also half of the family-friendly beatboxing duo Baby Beats, challenges students and teachers alike to learn by making music. A former science teacher, Max is able to combine his artistic talent with his educational background to make strong connections to specific units and standards in the curriculum with irresistible enthusiasm and energy. He works not only with kids, but with educators, leading professional development classes to show teachers how music, and, more specifically, beatboxing can be used as a tool to teach fractions and challenging them to think outside the box in their own lesson planning. Hear YA teaching artist and beatboxer Max Bent online now!